MFB was founded by engineer Manfred Fricke. So far there were more than some hundred products constructed and distributed. 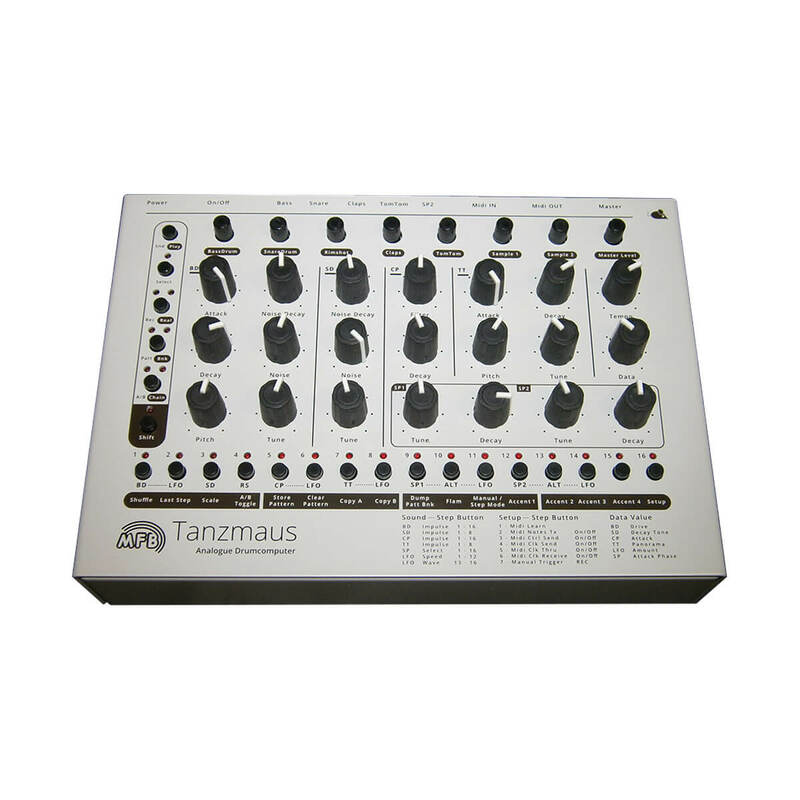 A lowcost drummachine was introduced in 1979. 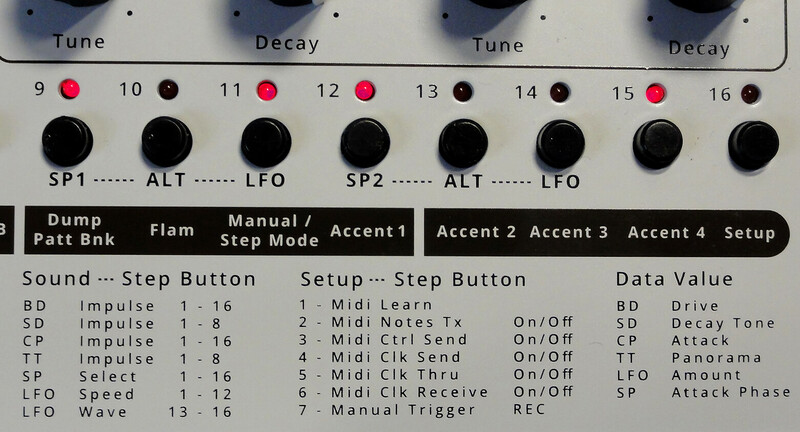 The legendary drumcomputer MFB-501 was finished and sold. 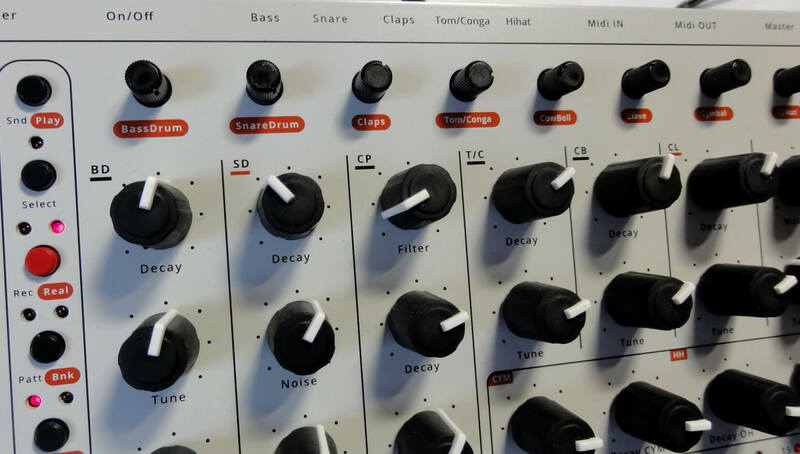 Although it was not the most prominent drumcomputer of that time it surely was one of the best selling drum units in Germany. 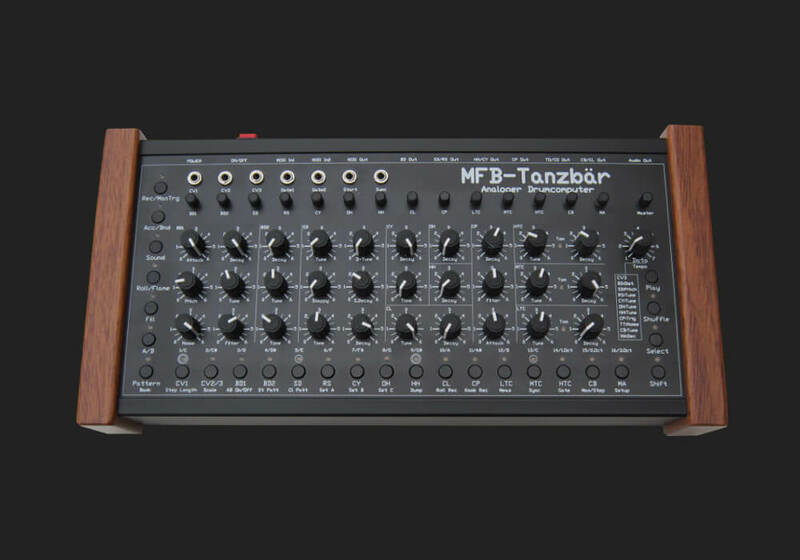 Some shops sold ten times more MFB-501s than Roland TR-808s. 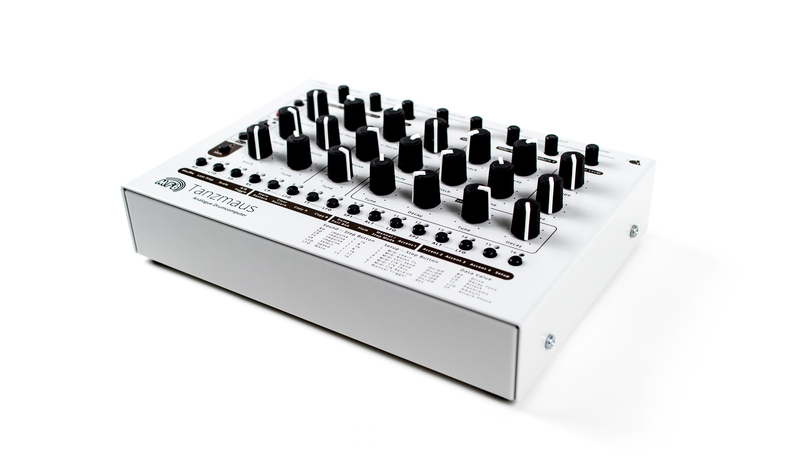 More products for the musician followed, such as the Digital-Sequencer MFB-601 and the digital drum machine MFB-512. All of these featured rich products were offered at exceptional low prices. 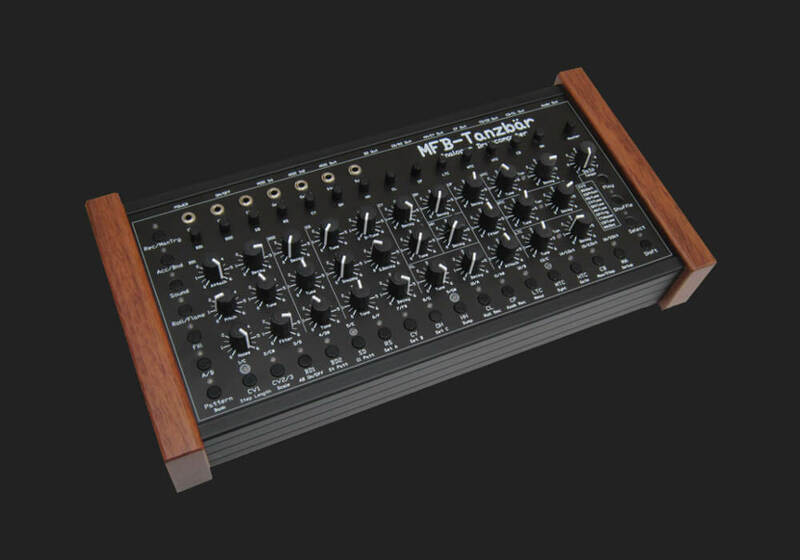 Since, MFB is continuously inventing synthesizers and drum machines that inspire creators of each new generation. For the first time in Canada, their new series of compact Drumcomputers is now available! 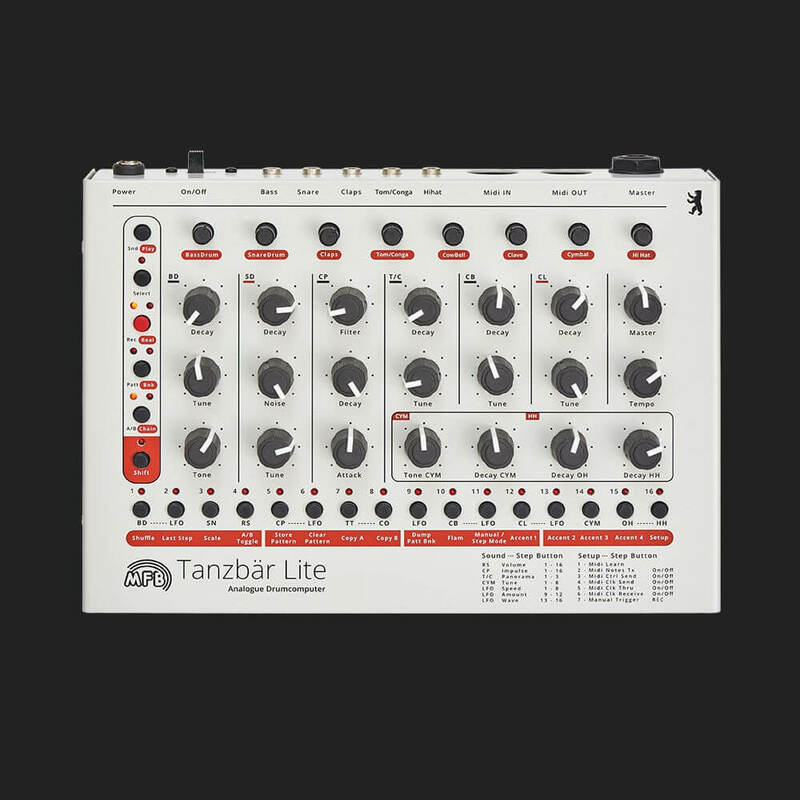 Come see the new TANZBÄR LITE, TAUZMAUS and the classic TANZBÄR.